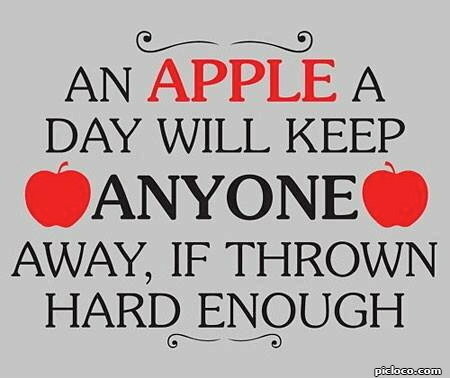 Throw the Apple Hard Enough An apple a day will keep anyone away, if thrown hard enough. 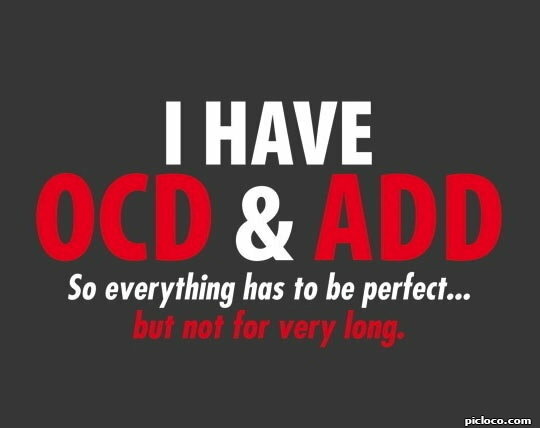 Perfect, But Not For Long I have OCD & ADD, so everything has to be perfect... but not for very long. A Little Umph! 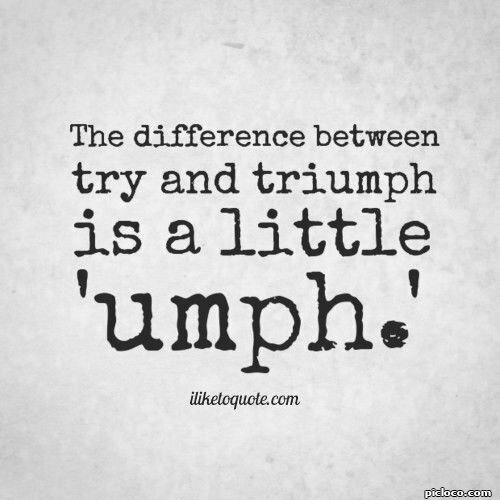 The difference between try and triumph is a little "umph." 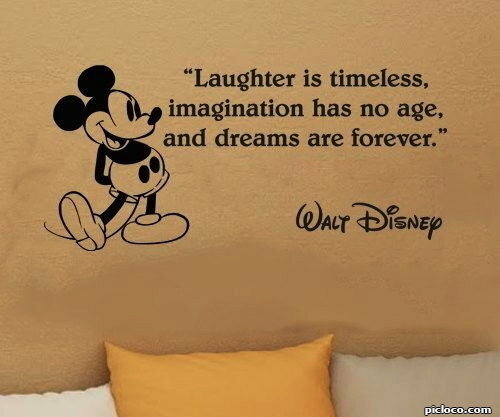 Laughter.Imagination.Dreams Laughter is timeless, imagination has no age, and dreams are forever. 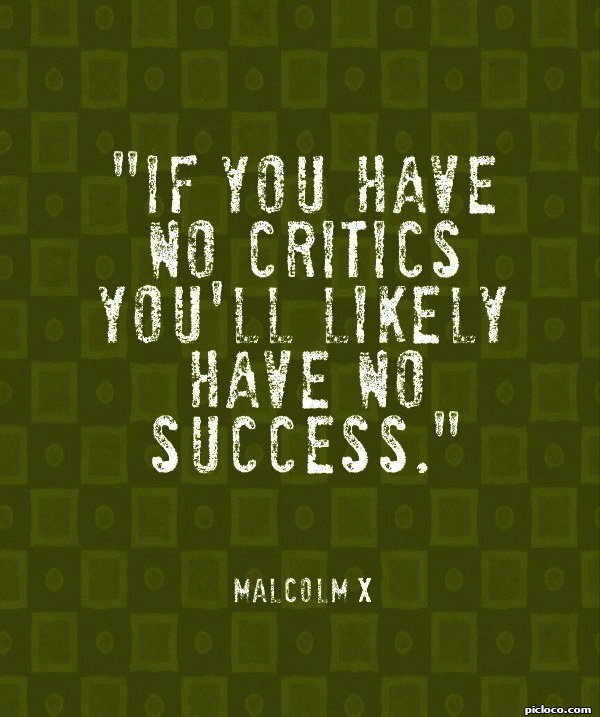 With Critics Comes Success If you have no critics you'll likely have no success. 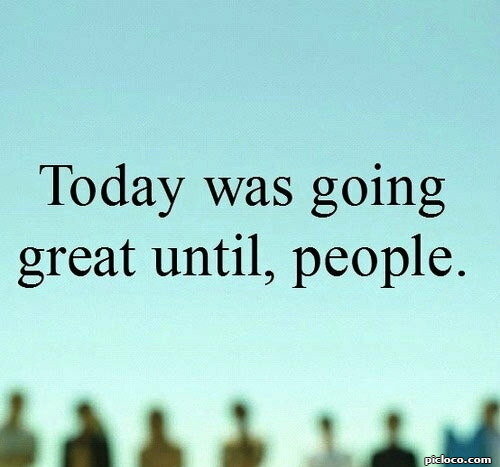 People Ruined Today Today was going great until, people. 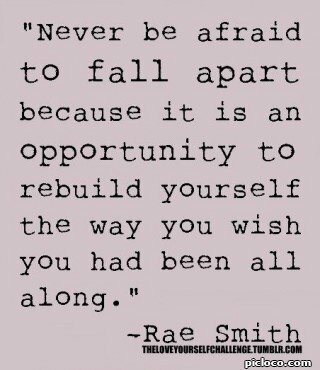 Fall Apart Leads to Rebuilding Never be afraid to fall apart because it is an opportunity to rebuild yourself the way you wish you had been all along. 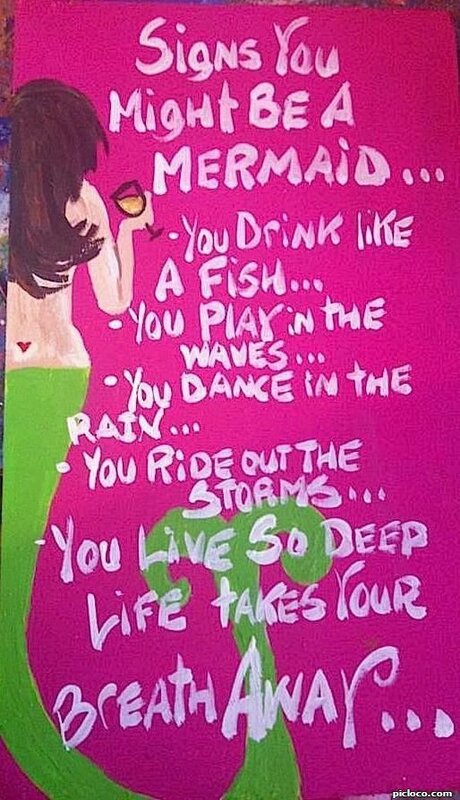 Signs You're A Mermaid Signs you might be a mermaid... you drink like a fish... you play in the waves... you dance in the rain... you ride out the storms... you live so deep life takes your breath away. 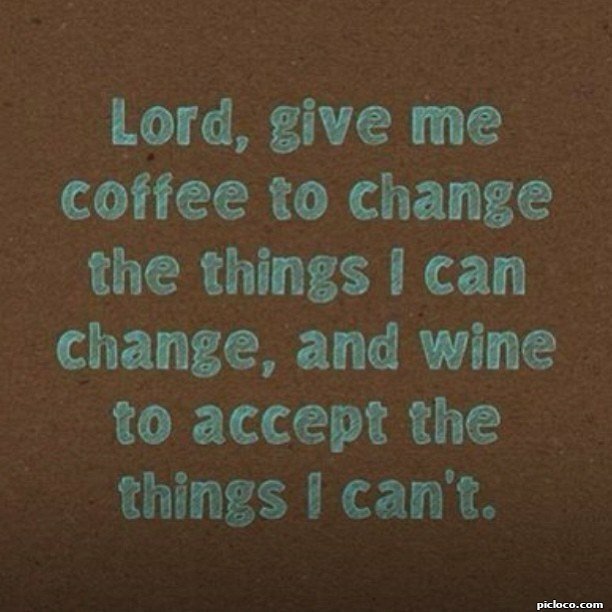 Coffee for Change, Wine for Acceptance Lord, give me coffee to change the things I can change, and wine to accept the things I can't. 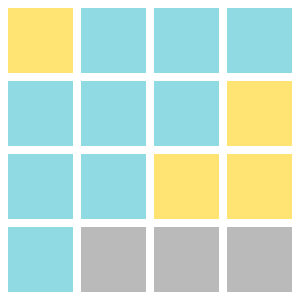 Don't Feel Good? Need Mom. 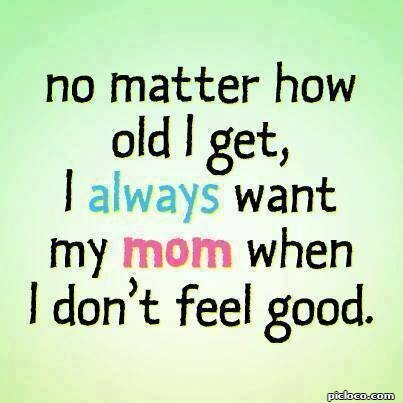 No matter how old I get, I always want my mom when I don't feel good. 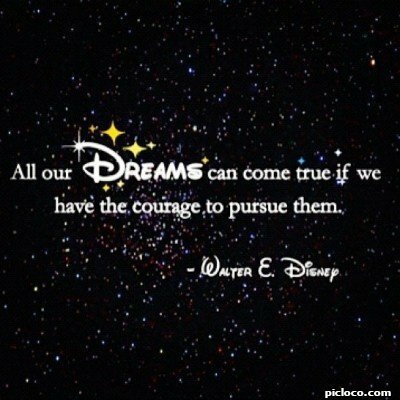 Have Courage to Pursue Your Dreams All our dreams can come true if we have the courage to pursue them. 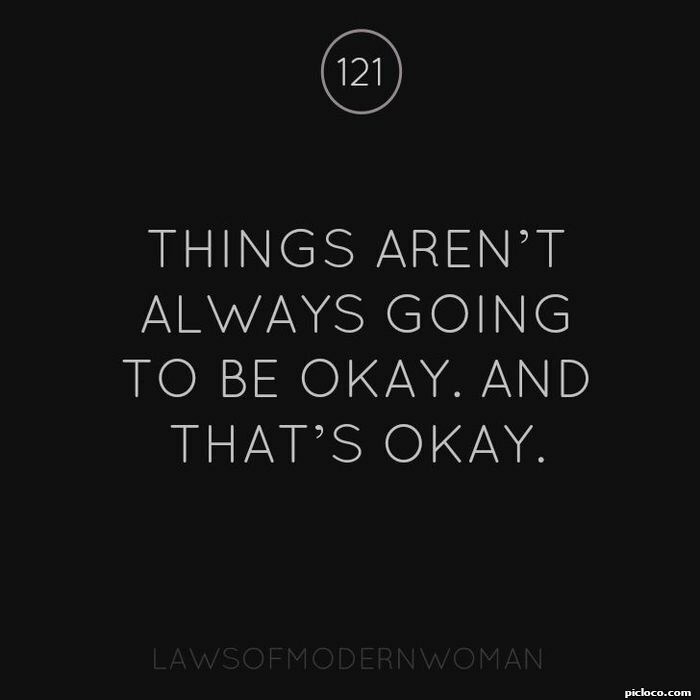 It's Okay Not To Be Okay Things aren't always going to be okay, and that's okay. 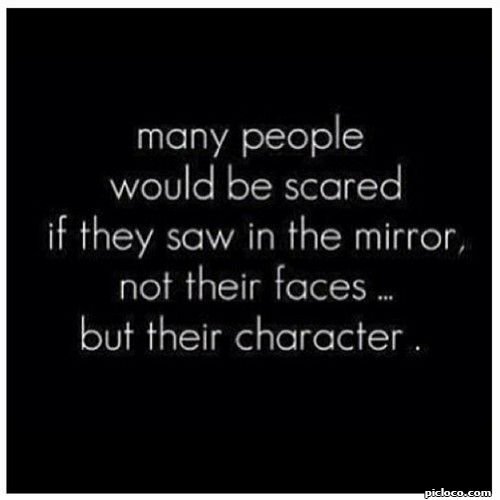 The Reflection of Their Character Many people would be scared if they saw in the mirror, not their faces... but their character. 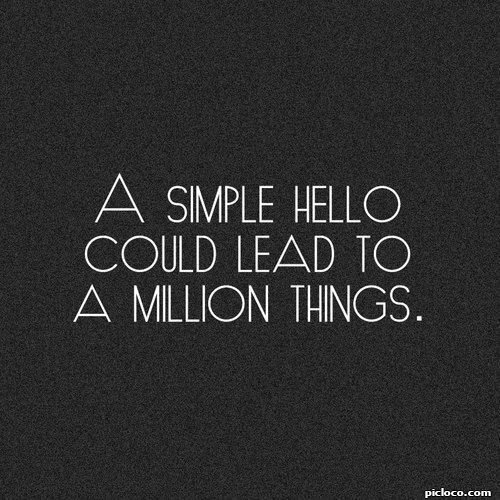 Hello Can Lead to a Million Things A simple hello could lead to a million things. 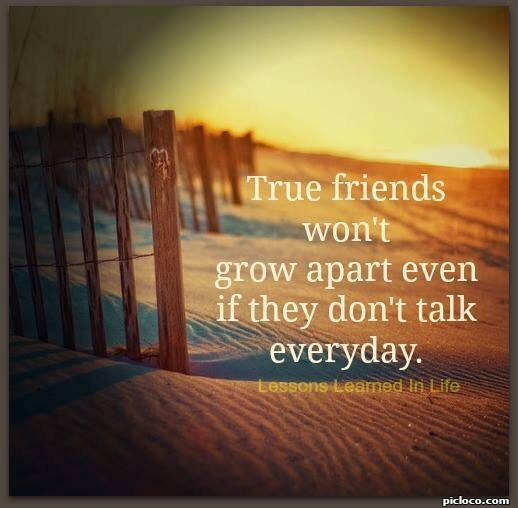 True Friends True friends won't grow apart even if they don't talk everyday.